St. Louis’ newest brewery will begin pouring its first official beers on Friday, August 31, at 1 p.m., but the journey to the first pours for Mackenzie Brewing Company began back in 2011. Seven years later, the idea is about to come to life in Valley Park. As he tells it, owner Jeffrey Doss spent the majority of those seven years shifting his attention away from his 33-year engineering consulting profession and began planning Mackenzie Brewing Company with his brother Greg, and wife Sandy. Starting as an obsessive hobby 18 years ago, Jeffrey and Greg began brewing for homebrew parties and picnics. Over the years the chorus of “when are you guys going to open your own brewery?” has finally got an answer. A hobby turned profession, will give Jeffrey the time to do what he desires; keep making better beer every week. 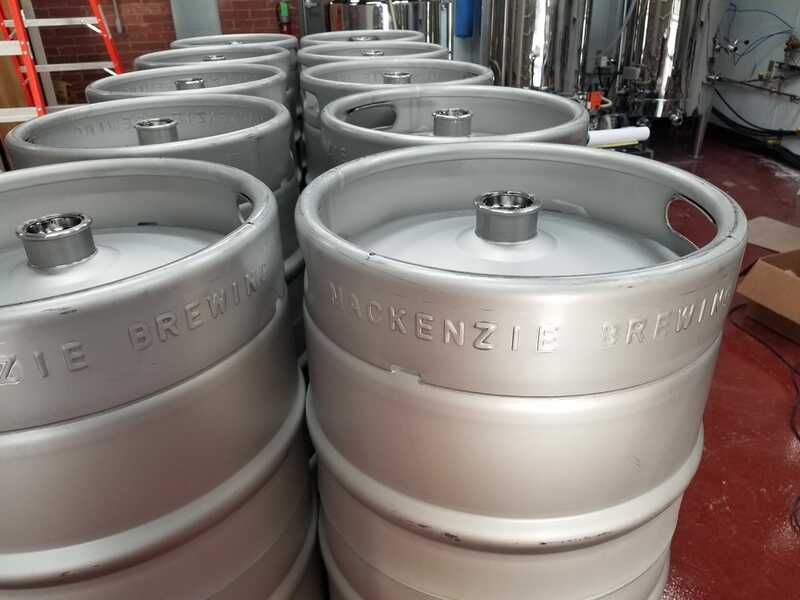 Mackenzie Brewing Co, will operate from a 3-barrel brewhouse and feature a tasting room with a bar and tables to seat 50 people comfortably and 8 beers on tap. While their focus will be on bringing quality Belgian and high-gravity beer styles to the St. Louis beer community, they will provide a robust beer menu featuring many varying styles. Many people enjoy session-able beers and there will be a core of 4-5 beers that will be approachable in that regard (4.5%-6%) as well as being part of a somewhat regular beer menu. There will always be at least one Belgian beer in this group. The other 3-4 beers will be higher in alcohol and hopefully of a style that is not always available in the region. These beers will rotate fairly regularly with the seasons and have offerings like; English Barleywines, Wheatwines, Triple IPA, Baltic Porter, Dark Farmhouse, Dubbel, Belgian Golden Ale, Belgian Dark Strong & Imperial Stout. The session-able beers will pull from a list of Saison’s, Belgian Blond, Wit, American Wheat, American Brown, Porter, Red & IPA’s. “I realize that not everyone is as fond of Belgian and high-gravity beers as I, and many others, might be. So we will offer a few sessionable beers to compliment the many tastes that exist. One of these will be the ubiquitous IPA along with an American Wheat and a nice American Brown. Speaking of food, while they do not have a kitchen, customers are welcome to bring food from our neighbors or have a pizza delivered. “With our friends at Sugarfire44 just 100’ away, everyone gets the best of both worlds, great BBQ and beer,” said Doss. Inside, the motif resembles an upscale bar with tile wainscoting and a stone bar top. 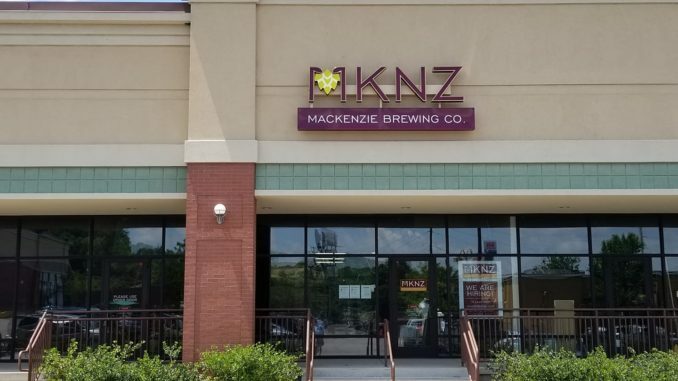 While not a sports bar, Mackenzie Brewing will have plenty of TV’s for sports (when sports are on) and music for all tastes. Doss’ brewing philosophies more traditional in nature, and enjoys beers made “to style”, with some exceptions. “I tell a lot of people that I like my beer to taste like beer! That said, there is a great demand for some flavored beers, such as fruit in the summer and pumpkin in the fall. This fall we will have a ‘Harvest Stout’ that is deftly spiced so the flavor of the beer is not covered, but propped up. Likewise, following our initial eight beers, we have a plan for a sessionable Vanilla Porter, but it’s a Porter first, not a vehicle for the added flavor. Doss is working on a highly spiced and fruited high gravity beer that may be ready by late winter. But what you will not find a Mackenzie is ‘glitter beer’. To kick off, Mackenzie will offer only its beers, with the possible exception of a guest Cider in the future. They hope to offer a number of wines as an alternative for those so inclined, as well as soda for the non-drinker and DD’s in the group. Monday – Thursday | 3 p.m to 1 a.m.
Friday -Saturday | 11 a.m. to 1 a.m.
Sunday | 11 a.m. to 11 p.m.